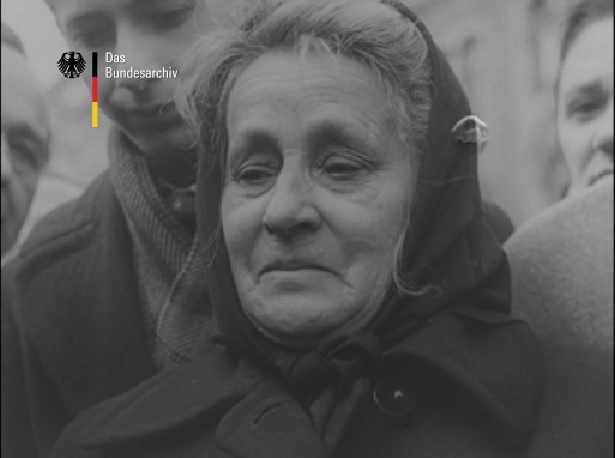 After WWII, the Allies’ newsreels were to spread new democratic thinking and habits in Germany. 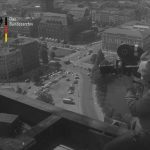 After 1949, the German Federal Government initiated a newsreel that was produced by Germans only. 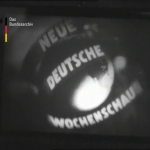 The newsreel Neue Deutsche Wochenschau (NDW) was founded end of 1949 with support of the Federal Press Office. 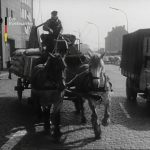 To avoid being perceived as the successor of the Nazi-newsreel Deutsche Wochenschau, NDW producers had to ask themselves (1) how to prevent propaganda and (2) how to present an objective, moral and ethical-sensible media. In doing so, on the one hand issues on problems were omitted from the screen – e.g. cruelties, heavy accidents or diseases. On the other hand, close-ups of distressed peoples’ faces were often used (see figure NDW No. 354/1956), as they could be very effective on the wide cinema screen. Background music was another element that was supposed to emotionalise the reports, e.g. about expellees. 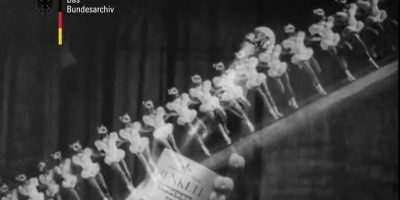 Compared to the early German television newscasts (introduced end of 1952), newsreel-images and the music were much more sinister. 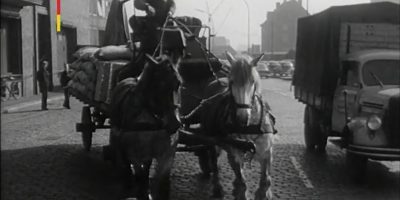 The newsreels’ storytelling in the 1950s is to discuss regarding the ethical acceptability of (1) image, music and voice, (2) text, and (3) conception of reports. 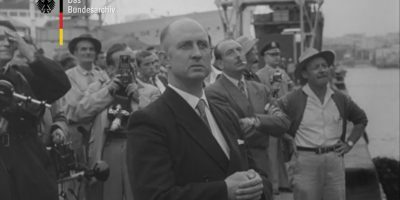 Images are historical sources and in this sense, it is important to learn about the aims and production conditions of newsreels, as today’s TV-producers use historical newsreel snippets for hybrid docu-dramas. In the meaning of ‘New Film History’ (Allen & Gomery, see methods on this website) I use a wide variety of archive materials for my research, e.g. letters, production reports, reviews but also the original films. Das Thema wurde auf der Tagung „Ethics of Storytelling: Historical Imagination in Contemporary Literature, Media and Visual Arts“ am 6. Juni 2015 an der University of Turku, Finnland, präsentiert. Passt der Beitrag für einen Sammelband, die nächste Publikation?